The days of the steno pools, where typists gathered and labored over clickety-clack typewriters, are long gone. There's no need for them because these days most people are pretty decent typists, yet some people are more than decent at typing. However, there is still a great need for typists to turn audio recordings into text files, as well as other kinds of typing jobs. And thanks to the internet, it really doesn’t matter where the typist is. Find out what kinds of typing jobs are out there and what kind of skills you need to land one. This is the simplest of all the typing jobs. It doesn’t take much experience to break into it, but it pays the least too. This can be a good place to start if you want to sharpen your skills and get some experience. Investigate opportunities with work-at-home data entry companies. A word of caution: If you want to try your hand at data entry, beware of scams. Often work-at-home scams can be dressed up to look like data entry jobs, so be familiar with data entry scams. Wondering if your typing is fast enough for any of these online typing jobs? 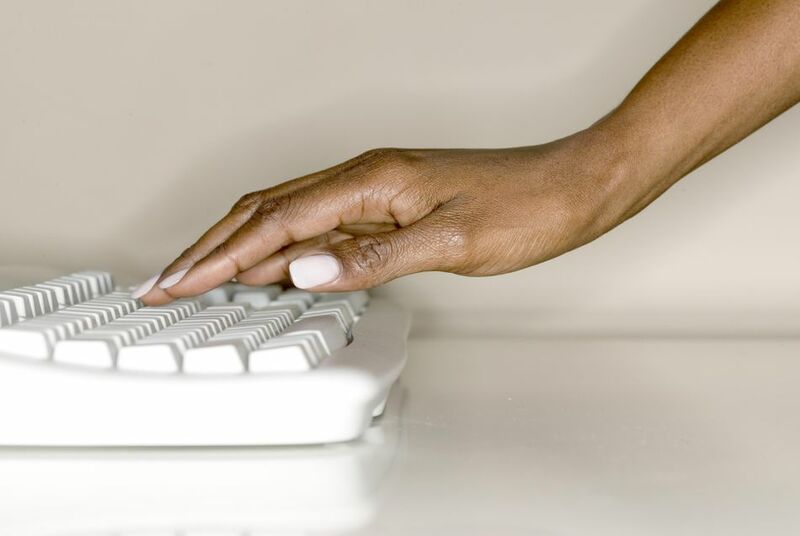 Take one of these online typing tests. So-called "general" transcription actually encompasses a lot of different types of specialized transcription and requires typists with varying levels of skills and types of equipment. The basic definition of transcription is to type spoken audio recording, such as dictation, lectures, conference calls, phone messages, workshops, interviews, speeches, podcasts, videos, webinars, etc. There are specializations within general transcription. Legal transcription requires experience and familiarity with legal terms and procedures. Financial/corporate transcription requires that the typist have a certain level of knowledge of the terminology of the particular industry; you may also have to be familiar with earnings reports, annual meetings, press conferences, interim results, and analyst reports in a variety of sectors. Neither of these typically require certifications. Often the more specialized typing will be done in an office, rather than from home, but once you have experience, it is often possible to transition to telecommuting. Opportunities abound involving ​home transcription jobs. Unlike the specializations within general transcription, medical transcription does require special post-secondary training and certification—either a 1-year certificate program or 2-year associate’s degree. A medical transcriptionist transcribes a physician or medical practitioner’s dictation, which are then added to the patient’s medical record. Captioning is a bit different from most home-based transcription work, because instead of working off recorded audio, the real-time captioner types live video. It requires very fast typing speeds, accuracy, and specialized stenography equipment. Only the most experienced typist can transition to real-time transcription. However, there is also caption work for typing captions for recorded video, called offline captioning. In offline captioning, the audio of a recorded video is transcribed and added as captions in the post-production process. Less speed and experience is required for this than real-time, but you need some transcription experience to become a captioner. Additionally, offline captioners need training and experience in placing the caption within the correct timing of the video. Both offline and real-time captioning can be done from home. If you're contemplating home-based work, consider working at home in captioning.